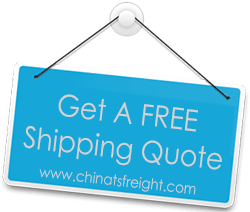 Looking for a local freight forwarder in China? The first and most important thing to do is to cut out middle men or international freight forward companies and contacting a freight forwarding company based within China. You will end up saving huge sums of money in doing so, as there will be no extra commissions to be paid. The next thing you need to ensure is that the transport system you put in place is watertight. Here is a quick guide to choosing the forwarder who will ‘handle’ your goods with care.